Sorry, this sale has now ended. Please visit our store for the latest offers. 30% OFF only while supplies last! USE CODE CELEBRATE AT CHECKOUT!! 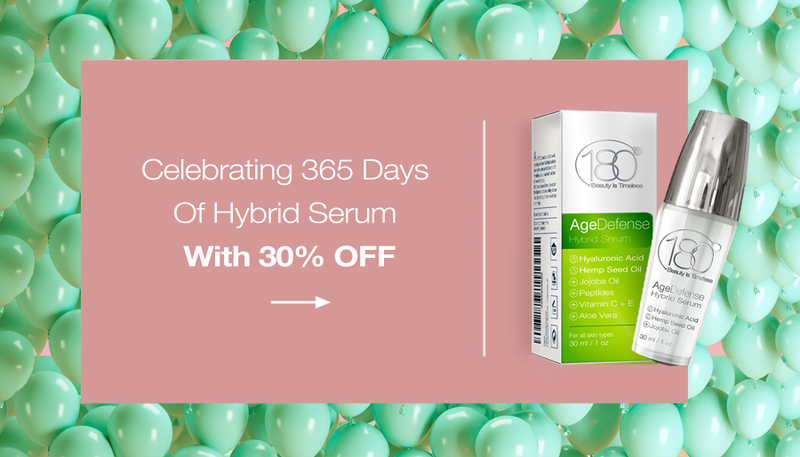 365 Days of Age Defense Hybrid Serum! One drop of 180 Age Defense Hybrid Serum delivers the rich vitamins, peptides and nutrients your skin needs to look and feel healthier than ever. Made from the best ingredients, this deep-hydrating skin serum soothes, nurtures, firms and tightens faster than any other moisturizer. USE CODE CELEBRATE AT CHECKOUT!